The event, which comes with the motto “The Good Feeling of Reading,” brings together over 60 institutions and organizations from across the nation. The nationwide event features programs such as conferences, book-reading sessions, competitions, etc. Some areas also host special programs. 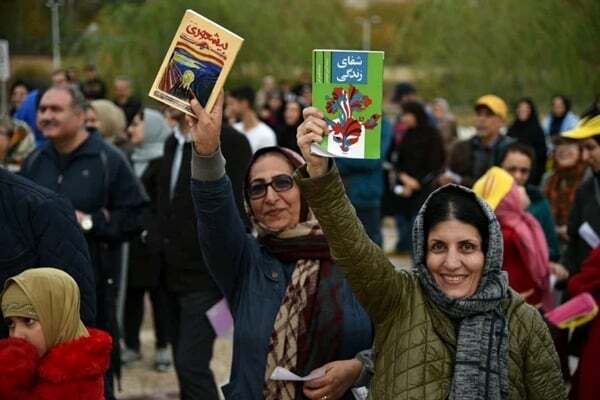 A hiking event dubbed “Walking in Pace with Books” attended by family members was held in the city of Shiraz in southern Fars province. Citizens had their photos taken while standing next to the “Book’s Red Carpet”. More than 400 volumes of books written by Shirazi authors and poets were distributed among the participants by the provincial Department of Culture and Islamic Guidance. The event featured draws, competitions and award-giving ceremonies. The hiking event is also covered on social media. The Book Week was celebrated differently in the central province of Yazd. According to a local cultural official, a program dubbed “Books Saturday” got underway at mosques in Yazd in addition to other programs, namely visiting the province’s public libraries, meeting authors, holding story-writing classes, and visiting the libraries of cultural-arts centres. Sistan and Baluchestan province in south-east of Iran marked the Book Week by holding 300 special programs involving books such as visiting libraries, visits to schools by book suppliers, holding book fairs, holding story-telling sessions, reading the Shahnameh (Book of the Kings) written by renowned Iranian poet Ferdowsi, reviewing books, introducing books on the radio, free membership in all public libraries and recognizing eminent individuals in the domain of books. Donating Rls. 100 million worth of books to the Prisons’ Organization is another program of Iran’s National Book Week. As promised, the Ministry of Culture and Islamic Guidance also donated one thousand books to quake-hit areas in Sarpol-e Zahab in western Iran. The last day of the Book Week, November 22, will mark a program where people go to bookshops and purchase books to support those involved in the business. 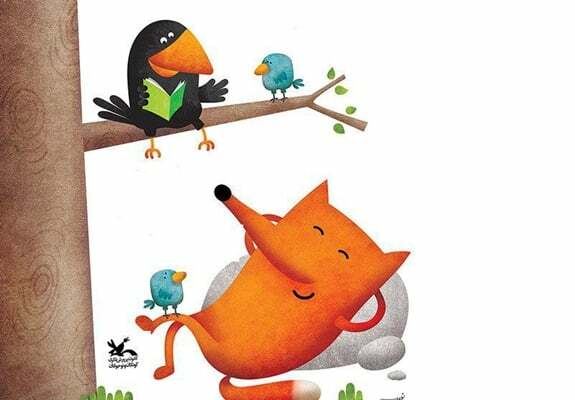 To that end, Ahmad Masjedjamei, a member of the Tehran City Council, in a message called on people to visit bookshops to help promote the publishing industry. “The fifth ‘Bookshop-Visiting’ event is around the corner, a move which was first launched with the aim of backing bookshops as the hub of distribution of thoughts and with the aim of promoting the presence of the public as the main audience dealing with books in the public and civic atmosphere,” he said in his message. “Over the past four days, this cultural-social move has fortunately been welcomed and backed by people, media and artists,” read part of the message. This year, we are counting down to the fifth Bookshop-Visiting event as the profession of book-selling, affected by the society’s general atmosphere, is facing numerous problems, he added. “In the difficult situation that we are facing this year as well, we will once again go to bookshops and buy books to appreciate those involved in this profession,” Masjedjamei noted. 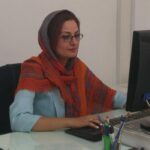 “‏‌‎Now, in order to revive the culture of book-reading, we are inviting the dear people of Iran to visit bookshops in droves on November 22, 2018, in the form of different groups, includding students, family members and friends, and support publishers, writers and translators of books and other jobs related to books,” he added.